Clancy Holt got his start as a guide when he was 16 years old. Taking people fishing has been a way of life for the Holt family as they've logged over 5 decades of guided fishing experience, more than 10,000 trips and untold limits of salmon, steelhead and sturgeon. There is no better, or more experienced guide service in the area. Clancy has been a remarkable innovator in the world of N.W. fishing. 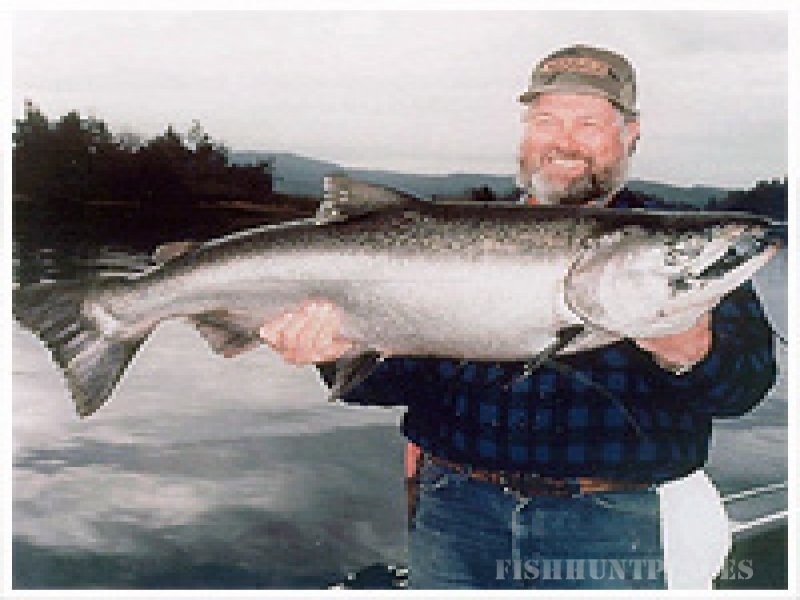 He's been credited as the guide that perfected the use of Kwikfish with sardine-wraps and also as the originator of the free-drifting method of fishing for salmon and steelhead. Clancy and Ron Holt's keen understanding of where the fish are and how to catch them continues to establish them as the leading fishermen in the region. Their intimate knowledge of the waters they guide is legendary. Relying on premium equipment like North Fork Rods, Alumaweld Boats, Mercury Outboards and exclusive fish-catching techniques is your assurance of success and fun when you hire Clancy's Guided Sportfishing for your day on the water. Much of the equipment Clancy and Ron use has been designed expressly for them and their specific applications. Specializing in corporate fishing trips, Clancy's Guided Sportfishing caters to all levels of fishing experience. Our techniques allow you to actively participate in catching some of the world's most revered, challenging and hard-fighting species of fish. Their trips aren't just limited to businesses. Families have enjoyed Clancy's Guided Sportfishing trips for generations. With fourth generation clients, fishing with Clancy and Ron has become a family tradition for some. Whether your adventure with Clancy's Guided Sportfishing takes you to the wind-swept beaches of the Oregon Coast and the storied bay fisheries Clancy and Ron enjoy, the bristling whitewater of half a dozen N.W. rivers or the awe-inspired majesty of the Columbia River, know that your safety and fun are secure with one of the world's most experienced and celebrated guide services.